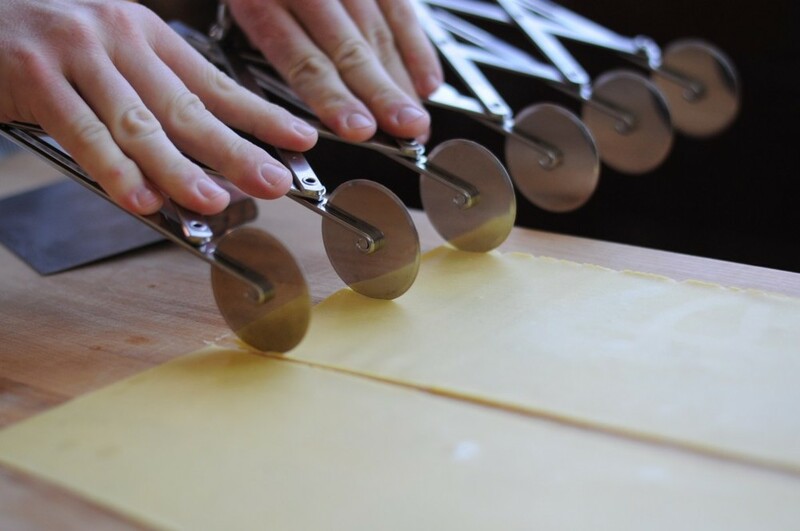 Thomas McNaughton likes to stay true to the traditions of making pasta — hand rolling and all. As executive chef and owner of flour + water, McNaughton gets to do this everyday in true San Francisco fashion, with a frequently changing menu that features traditional pastas paired with seasonal ingredients and bold flavor combinations. 1. Keep the dough moist during production. A spray bottle filled with water is your best tool. 2. Avoid using excess flour. A trick for making pasta at home is to place the dough in plastic wrap while rolling and cutting each section. 3. Make small batches. This goes hand-in-hand with avoiding excess flour. 4. Always taste when cooking instead of relying on cooking times. No pasta is created equal. 5. Pasta water and butter are a pasta's best friend. The starch from the pasta water help form rich sauces, while butter just makes everything taste better. Agnolotti dal Plin (pictured above) is his favorite shape. 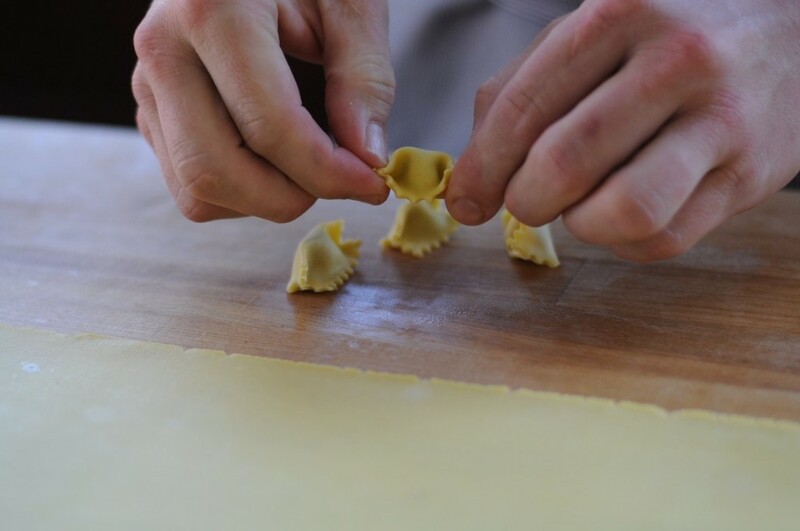 This adorable little stuffed pasta — which means “pinched” in a dialect of the Piedmont region — is simple to make with the right tools. You can find a recipe for making it with pork shoulder here.